“Money’s 2017 Best in Travel” has name St Augustine as the #1 Best US Destination. This top 10 list includes many amazing places but our great town is at the top of that list. These destinations are chosen based on getting the best value for your money when you visit. 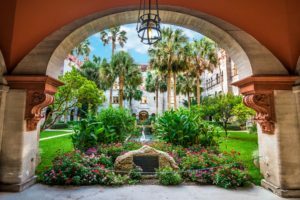 The article mentions the Casa Monica Resort and Spa, Lightner Museum and the Castillo de San Marcos. Of course these are just a few of the places you should visit when you are visiting our #1 Destination.